Yes, I was caught by these "artists." They don't work weekends, so I'll have to continue this unpleasant task on Monday. 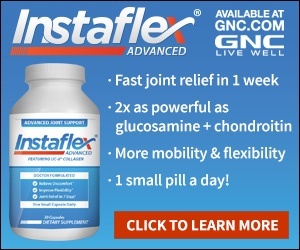 In brief: I ordered a sample shipment of Instaflex, but a few weeks later received two 30-capsule bottles of the same. Indications are this will continue and I will be charged as long as they feel like it. This is patently unfair. There must be a way of protecting the public in cases such as this one. I am old and retired and certainly cannot afford this. Please help. I'll provide you with additional details if needed! Their department office is in Salt Lake City. I didn't like: Being lied to, Unethical business practises, Not being able to cancel. Review #691378 is a subjective opinion of User691378. In the future, always read the fine print. I got a two week trial offer from Insta flex. But, I did read the fine print and read that after two weeks you would automatically be sent capsules and charged for them. So, I called today, and got it cancelled, I asked for a confirmation email as well. All of these people who are offering samples or whatever, stating that you only pay shipping are doing the same thing. Be careful, and I hope you get your money back.